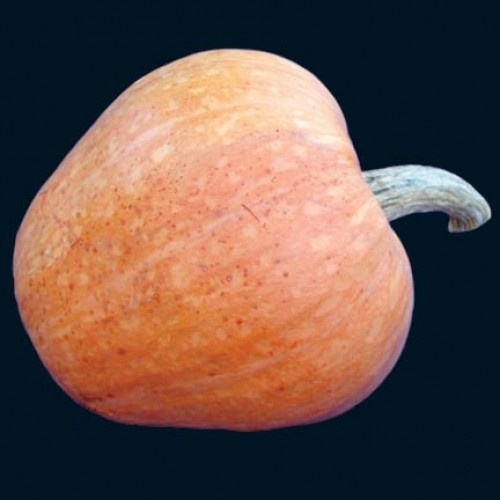 This squash was obtained by James Robinson from Amish gardeners in the mountains of Maryland. The oval shaped and slightly pointed squash measures up to five inches thick and can weigh up to 60-80 pounds. 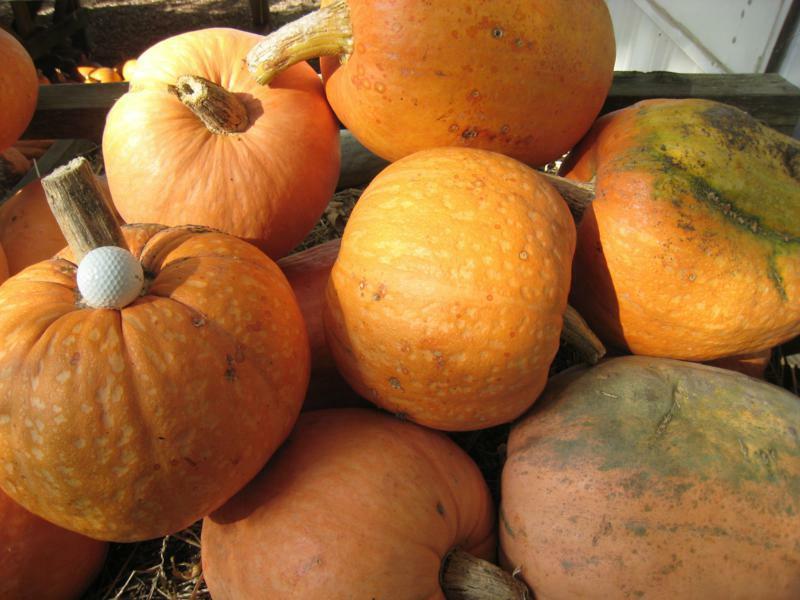 The Amish Pie Squash has pale orange flesh that is thick, sweet and moist. 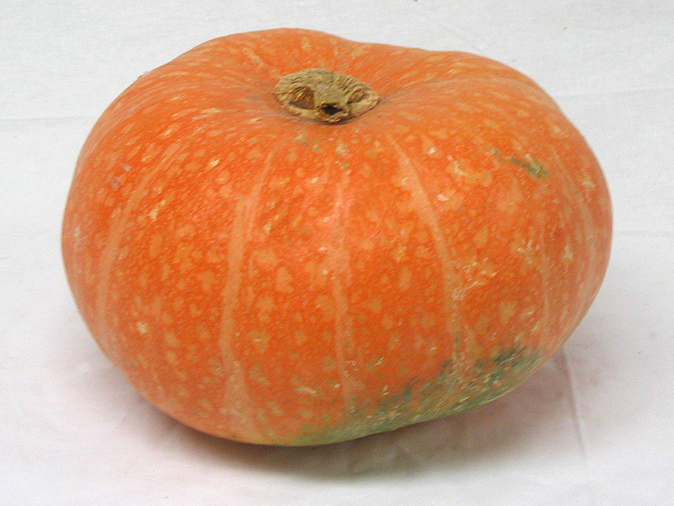 It is an excellent squash for making pies and for freezing. 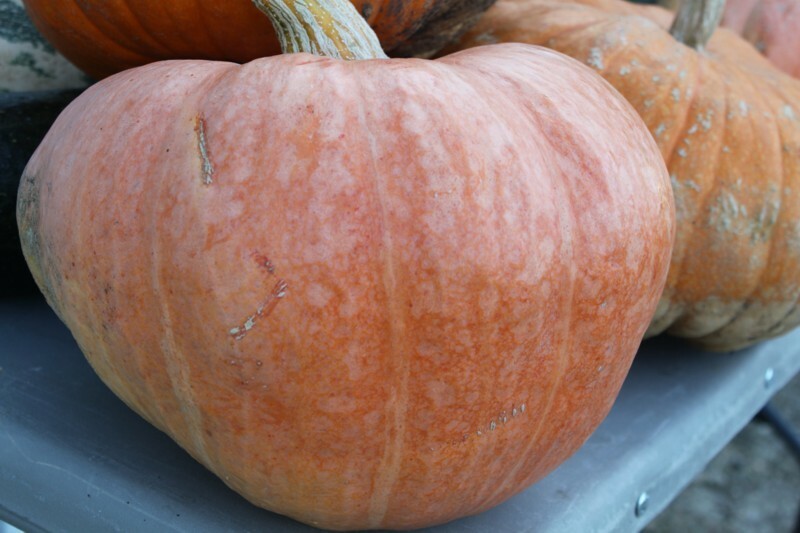 Seed Savers Exchange calls it "one of the best processing pumpkins we have ever grown".